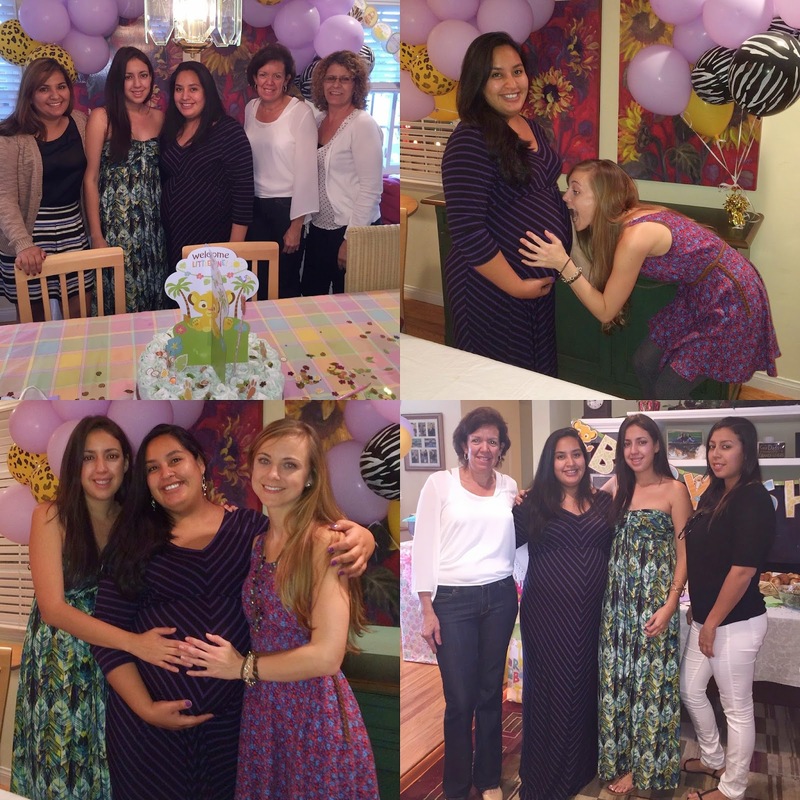 Today's post is dedicated to my best friend's baby shower. She was in love with the Lion King theme so much so, that we decided to search Pinterest high and low for inspiration and found tons of beautiful decorations. We had a committee of four or five really good friends who all came together and made this amazing day happen. One of the girls is super creative and talented so she naturally took over the decoration aspect of the party. She made all of the beautiful diaper cakes and a really pretty balloon arch that I didn't snap (insert sad emoji). I decided to snap a few pictures of the event to remember how much love and care went into this whole day. The Lion King book was used as a guest book which was another great idea we found on Pinterest. Besides signing the book I think a number of people also wrote a little something to the mother to be or the baby. Such a cute idea!!! Having finger foods at a baby shower is such a great idea because you don't have to worry about feeding everyone a whole meal. You make it buffet style so everyone can help themselves at anytime. We had around 40 or 50 guests so a formal lunch would have been super hectic and added stress we did not need. The desserts were super delicious and beautifully decorated by a friend of a friend. My favorite's were the chocolate covered strawberries and the cupcakes. Can you believe we also had cake after all those sweets!?!? I didn't get a pictures of that either, I guess I must have been sleeping or having too much fun! I must give a huge thanks to the family and gracious hostess who let us use her beautiful home. Everything turned out so perfectly and I can still remember all the love everyone exuded because of one little girl who hasn't even been born yet. 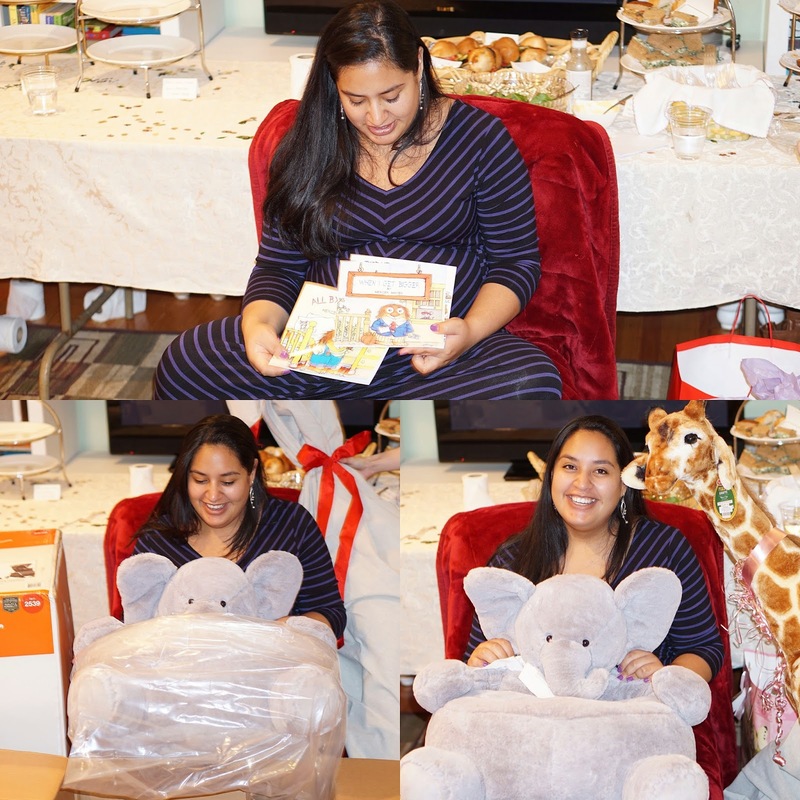 I didn't take many pictures of the mother to be opening her gifts because I'm still not a pro at taking pictures in such low light since the sun had gone down by this time. Hope you all enjoy this little recap and thanks to all the girls who helped put this party together because we all played an intricate part in making the person we love very happy. P.S. Below are a few shots taken from my iPhone with my bestie and her baby bump!! Yay, it's the weekend and we survived the big storm in California!! Today I have teamed up with Piperlime to bring you some of my favorite pieces from their fall collection. If your not familiar with Piperlime, it is an online women's apparel and accessories brand offering a variety of different products, labels, and price points to fit anyones closet. I fell in love with their cross front dress which was short in the front and long in the back, almost like a mullet dress. The print is even prettier in person and it definitely needed a belt because it didn't lay as nicely as it did on the model. So, I added my thick belt from the Altuzarra for Target collection which helped give my body shape in this flowy dress. It was warm the day I shot this look so the jacket was not used very much. To the jacket's credit it is definitely a perfect little black jacket for fall because it is light weight but keeps you nice and warm, plus you have all these little zippers and compartments to keep everything you need handy. BTW everything I'm wearing from Piperlime is currently 30% to 50% off.